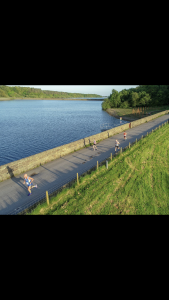 A series of three 5 mile courses following a scenic route around Rivington. Registration from 6.30 at Rivington Village Hall with the races starting at 7.30. Presentation in the hall after each race with prizes for all category winners and team prizes. Overall series prizes also presented after the final race in July.